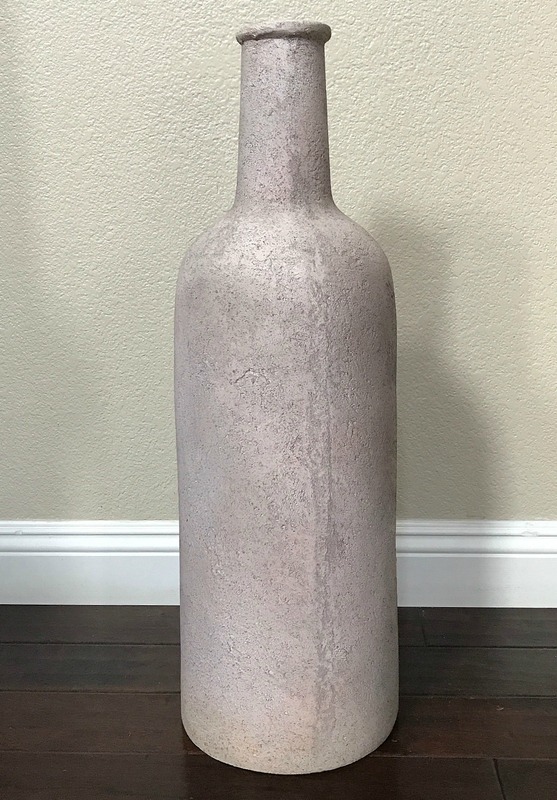 About 15 years ago, I found a really tall vase at a thrift store and thought I could do something fun with it, well that never happened. It sat on top of our china hutch very lonesome and very 80’s looking, until now! I thought It would look really pretty repainted and layered with a beautiful stencil, the paint part happened but not the stencil. 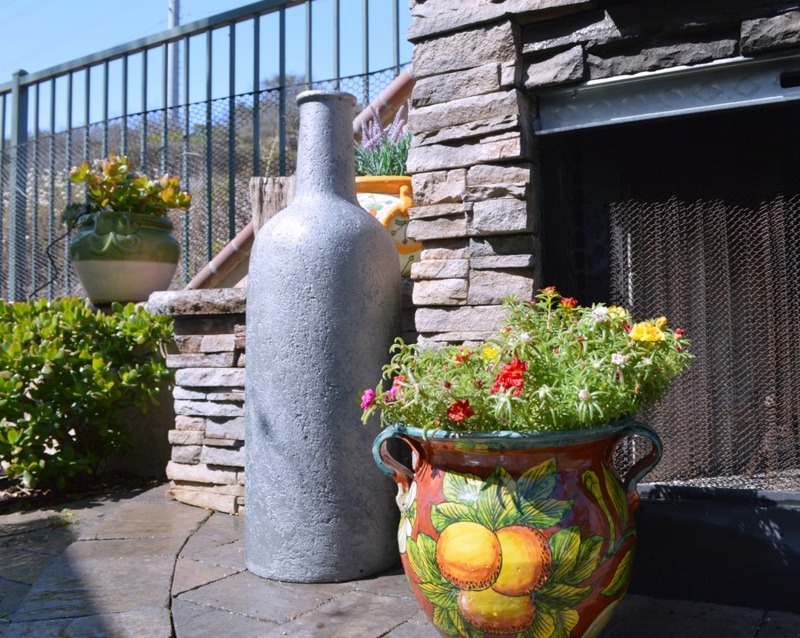 You can find how we built our outdoor fireplace here. Here is what it looked like before, the photo is being very kind and not showing much of the pink or what did we used to call that 80’s color, mauve? 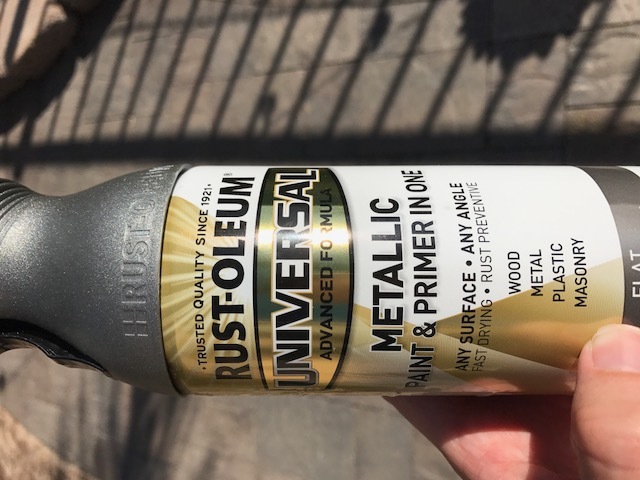 I looked around in our garage and found this metallic paint and primer, it was perfect since I would be placing this outside when completed. 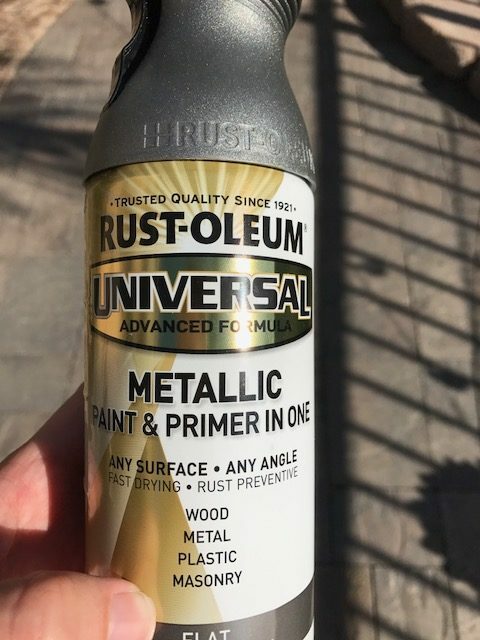 I simply gave it a good wipe down with a damp rag and two coats of spray paint, allowing it to dry in-between each coat. 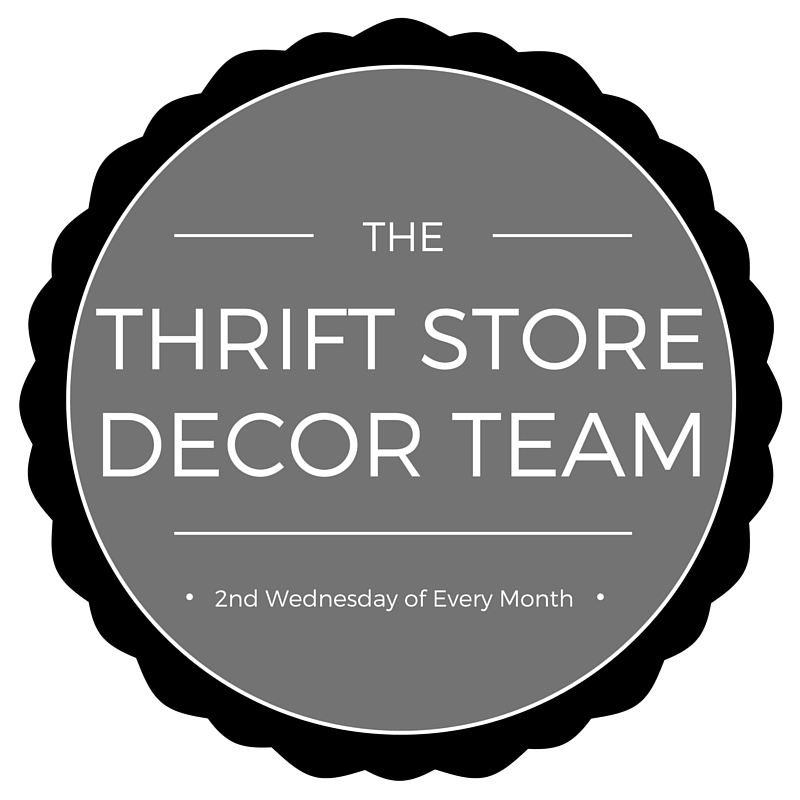 I tried to stencil it using a beautiful damask print and white paint but it wasn’t having it. 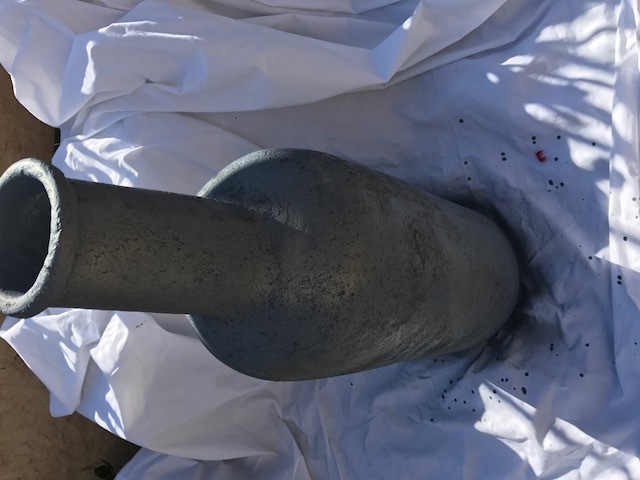 I think the texture of the vase combined with the curves made it really tricky, so I covered it up the evidence with another coat of spray paint and called it a day. I placed it outside next to our outdoor fireplace and thought, wow that would be a really cool water feature. Hopefully soon I can get around to making it into a fun fountain , until then, it’s found a happy little spot outside. 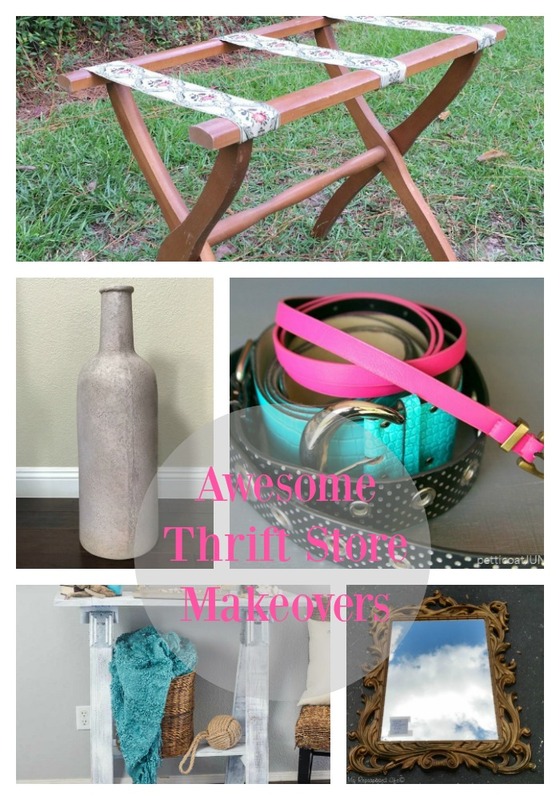 It’s that time again, when each of us makeover a thrift store find, a little inspiration for everyone! Thanks so much for stopping in, have a great rest of the week! 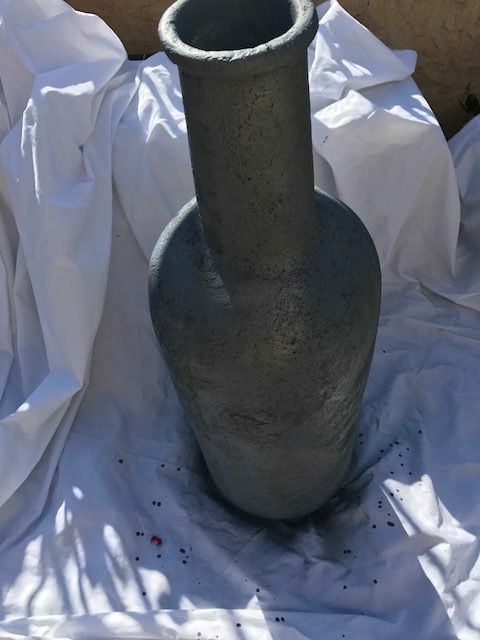 That vase looks great next to your fireplace – it has a great concrete look now! Whoa! How tall is that vase? It looks great with the new color. 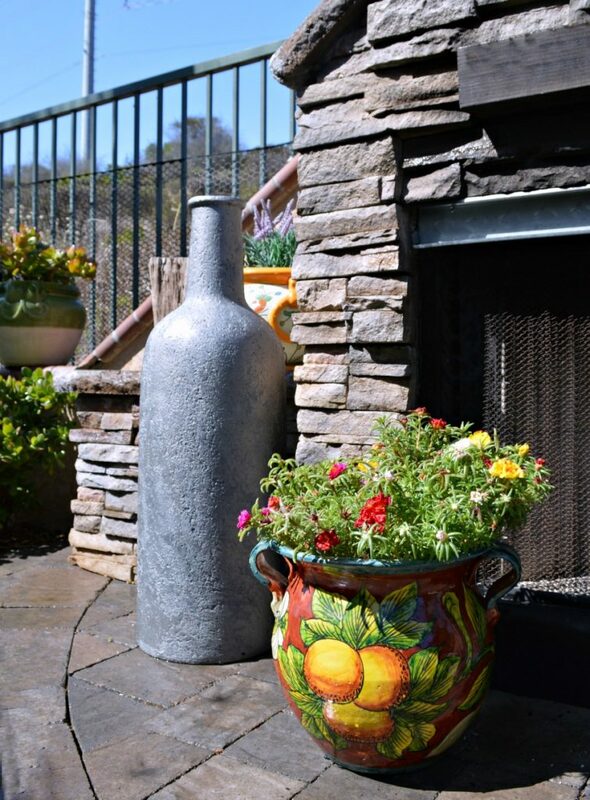 Love your outdoor fireplace!